Heyo! Guys, can we talk about garden stuff yet? It’s March 1 tomorrow, so I think yes. This is going on my 4th garden season at our house. We moved in March of 2010 so I got to jump into the dirt right away the first year. 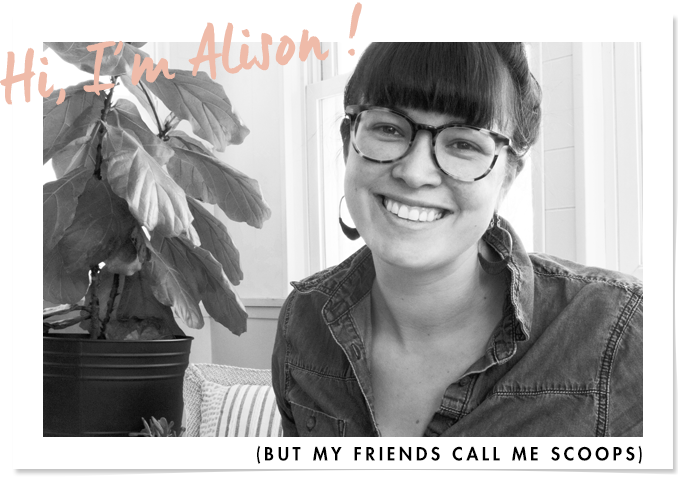 Our yard was a complete mess when we moved in, but I’ve been slowly making it pretty over the last few years, and I am so excited to share it’s progress this year. I planted Tulip and Daffodil bulbs this fall, and I can’t wait to see them in a few short weeks (lets hope). Enough about that stuff though, every season I have started a lot of my annuals from seed. I’ve been experimenting a lot over the years, some things have been very successful, other things not so much. Last year alone I planted from seed, White Black-Eyed Susans, Marigolds, Moonflower, Daisy, Lupine (perennial), three different types of Zinnias, Snapdragons and Butterfly Weed. In previous years I have tried Cosmos, Coleus, Delphinium, Cardinal Climber, and Morning Glories. What I’ve learned over the years is that not everything works in my yard, and after trial and error I now know what does. I don’t need to plant seeds willy nilly, and I can plan out a thoughtful garden to accompany my now more mature perennials. I need something for my fence, because it is chain link with greed plastic. I mean come on, I need to make that thing pretty. Someday, someday… we’ll get something nicer but not any time soon. My solution, put a vine on it. I’ve tried Cardinal Climber which has a pretty red flower with cool shaped leaves but that baby grew and grew and suffocated some of the surrounding plants. Plus, the Cardinal Climber’s flowers were not large enough to make an impact, in kind of looked like a mess. I’ve tried Morning Glories but they have never been very successful in my yard and I always end up killing them. 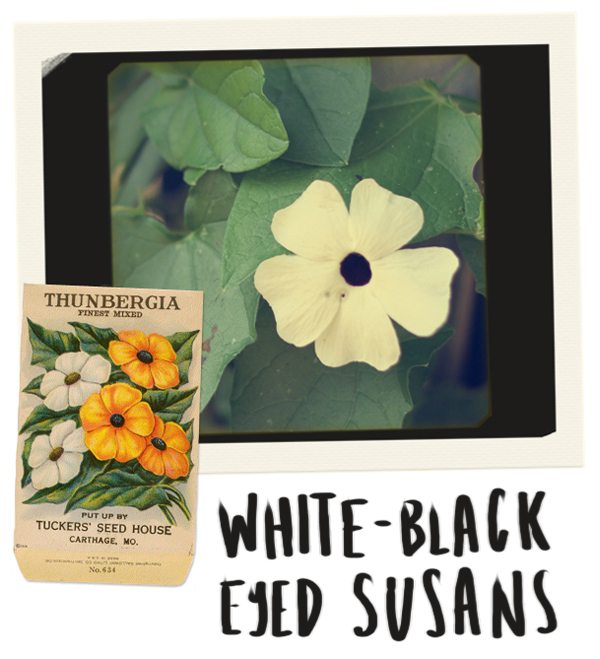 Last year I tried white Black-Eyed Susans. I love them, and want to marry them, and of course I want to have more of them this year. The flowers were really dainty and pretty, the vines didn’t get too crazy and they grew well. I’m going to plant white Black-Eyed Susans all along that fence this year, and the fence WILL BE pretty. I’ve discovered that Marigolds love my yard. I know they’re not super fancy or anything, but they are so easy to grow from seed, and they come in a lot of varieties. I tend to love the bright yellow ones with the huge blooms, and they work very well as a border flower for my garden beds in the backyard. In the past I have gone big with these suckers, but I’m thinking that this year I’ll get something with a smaller bloom and smaller height. I think the main lessons to be learned are that big blooms don’t always mean better. It means tall lengthy plants that tend to look overgrown as the summer goes on. I need to scale back and try seeds that I know thrive in my yard. I think it’s gonna be a good garden year. It’s on. I am getting soooo pumped up for the garden! 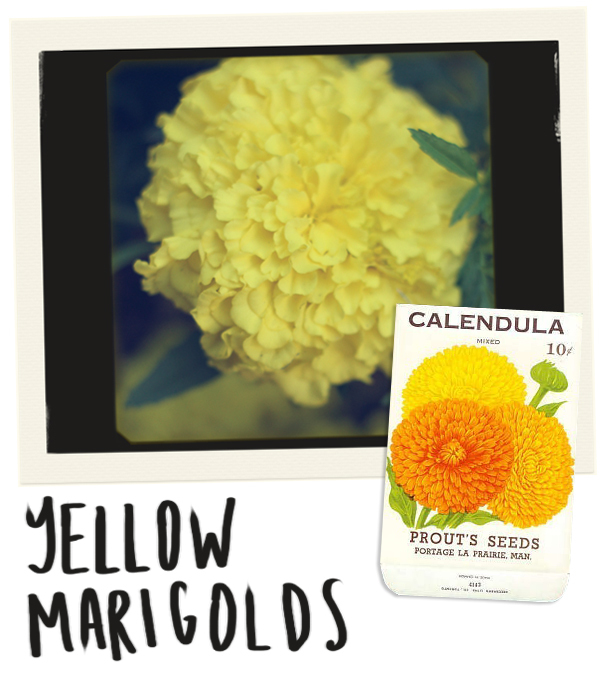 I like the Calendula seed packet in your post, because it is from Manitoba, where I’m from. I have become devoted to Baker Creek and Seed Savers Exchange seeds in recent years, I have had such great success with them (better than burpee), and they have great heirloom varieties, and ethical seed raising standards to impart a warm, fuzzy feeling. I ordered a bunch of hop rhizomes from Northern Brewer and I’m hoping they will go bananas on the barbwire-topped chain link fence at the back of my yard. I want to see things get wild, and then maybe I’ll learn to practice restraint. I’m also planning to plant a ton of zinnias. Spring can’t come soon enough. 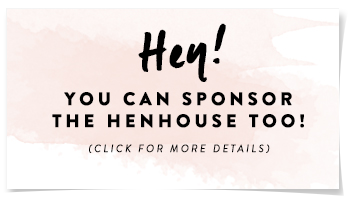 Thanks for the 411 on where you get your seeds, this is good info to have. I just ordered my seeds and used Park Seed, I used them last year too for a lot of my veggies. I had good luck with most of them. I re-ordered all of the things that grew well last year and tried out some new flower seed packs too, since I was paying for the shipping anyway. If I need to add more to my garden I will def look into the sources you mentioned. Yes, I am sure those hops will go bananas, they seem to be good at that. 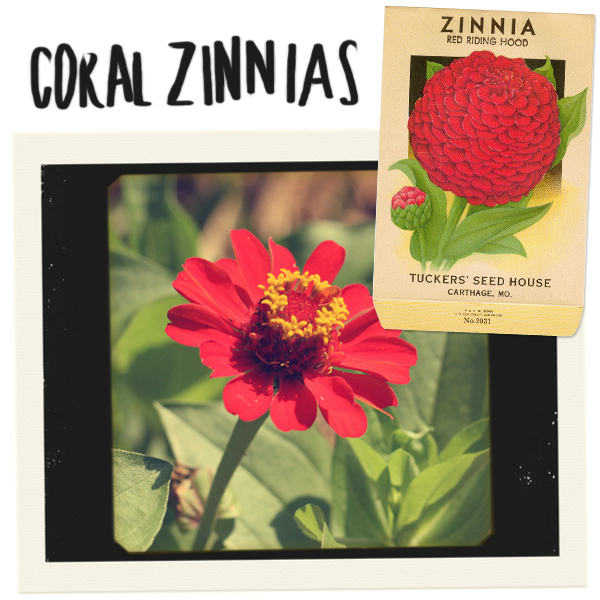 What kind of Zinnia’s are you getting this year?